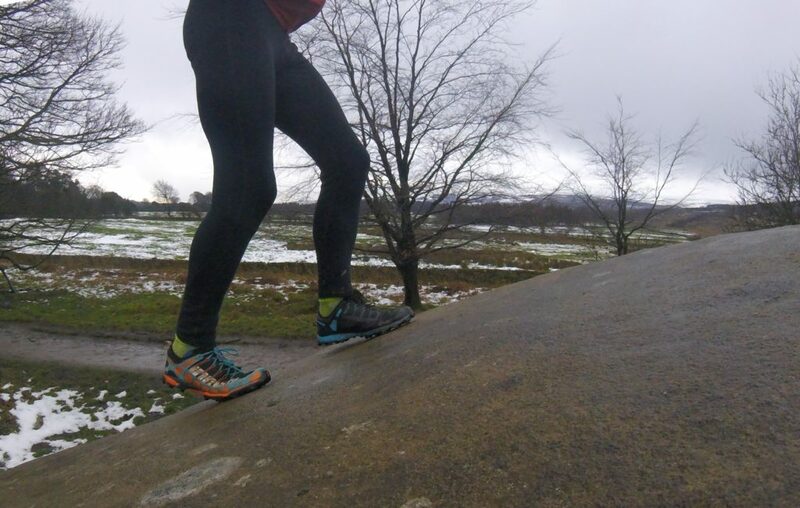 Running in snow and ice is difficult and it can also be hard to know what shoes to wear. 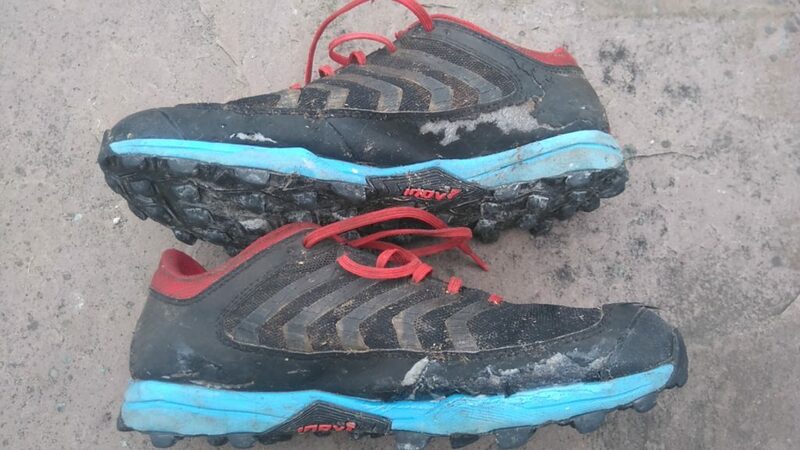 In soft snow I find that my usual trail or fell shoe with a decent tread works well enough. 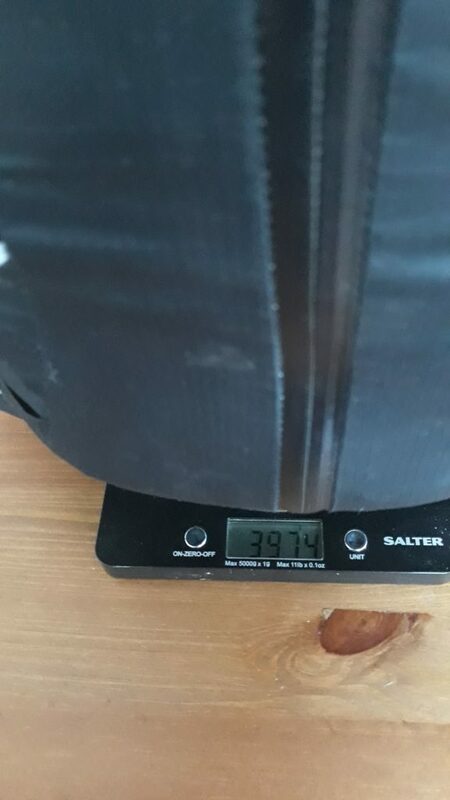 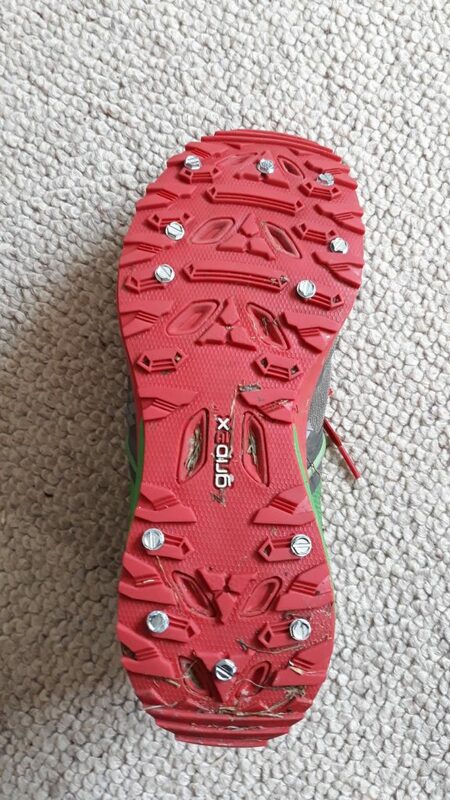 On paths where the snow has been well trodden and compacted down and then frozen hard or where snow has started to melt and then refrozen again then I’ll opt for Microspikes which give excellent traction. 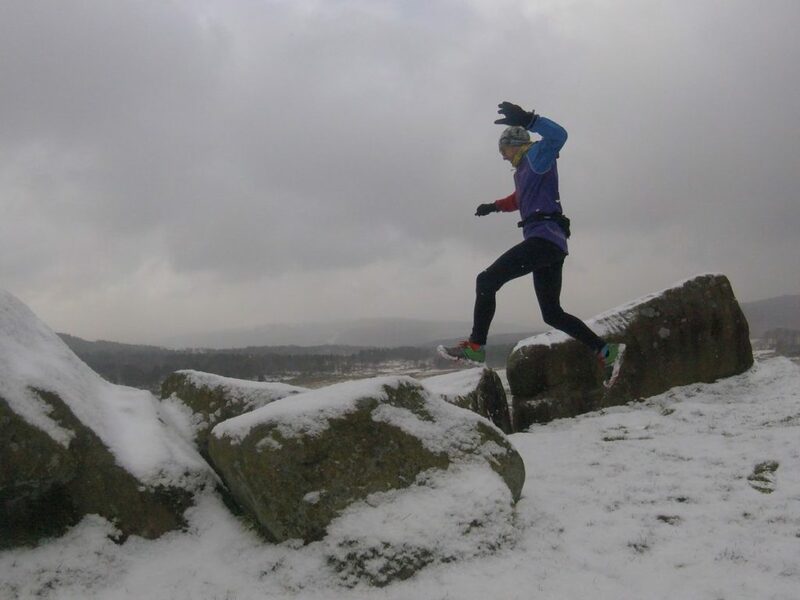 But what about mixed conditions; say where there hasn’t been any snow but very cold temperatures have resulted in icy patches? 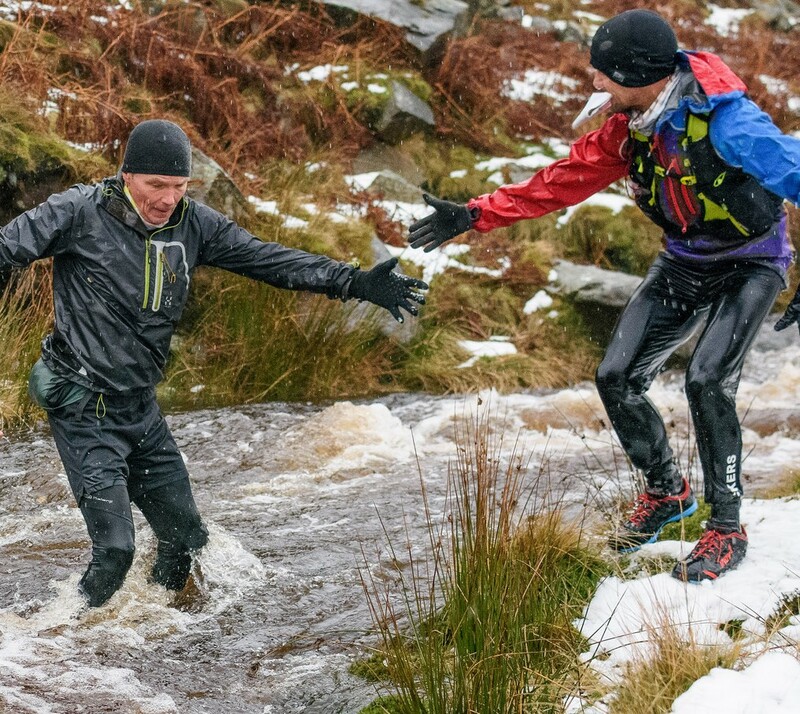 Here you can find yourself running fairly quickly on firm ground with a good grip only to be suddenly confronted with a patch of treacherous ice. 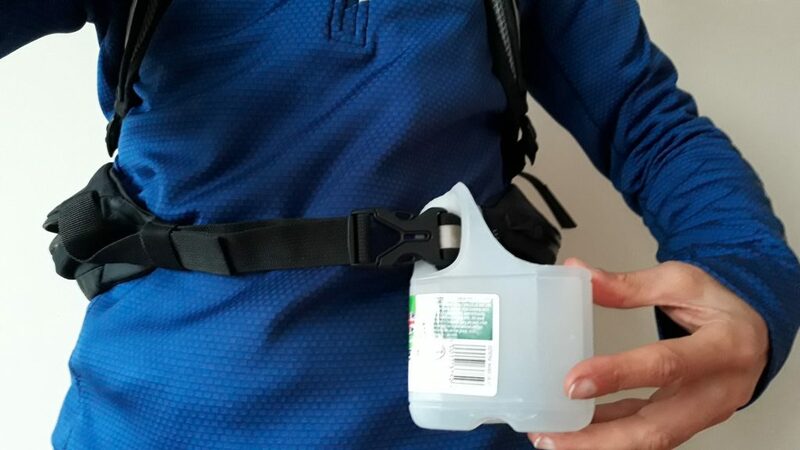 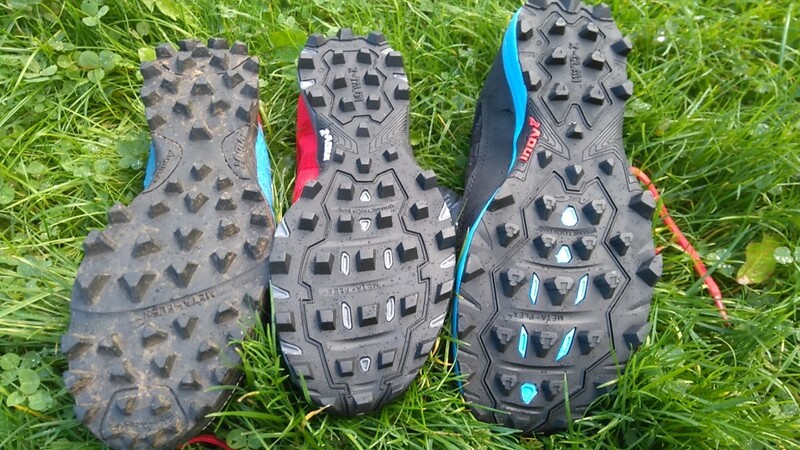 In this case Microspikes would be overkill for the majority of the run and yet you wouldn’t want to be stopping to put them on just for a few metres of frozen ground. 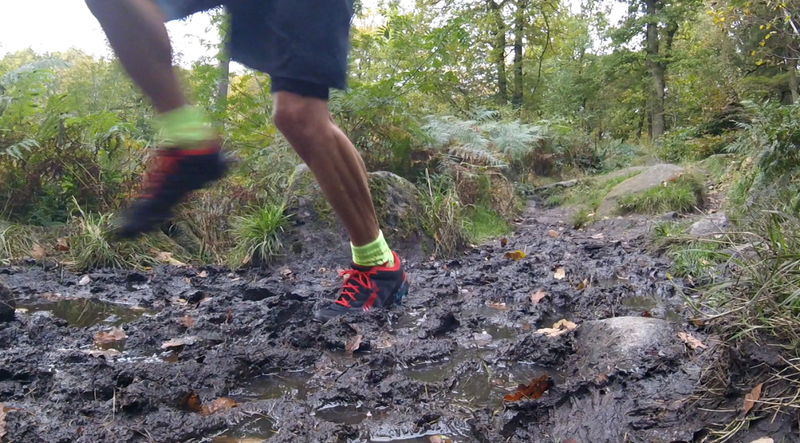 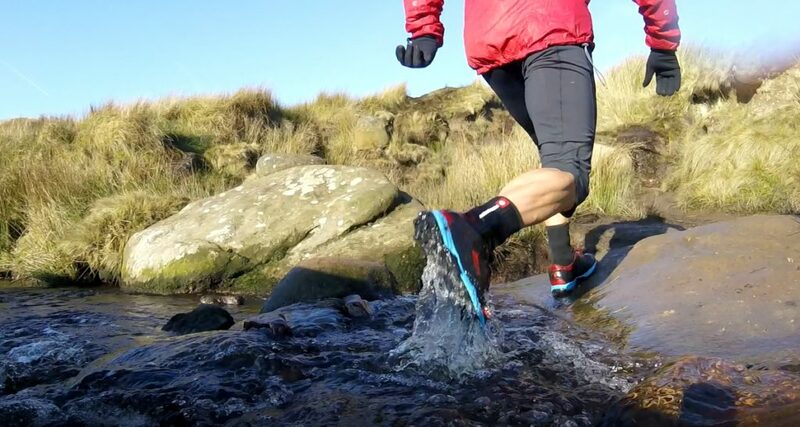 For these conditions you need a shoe that can deal both types of terrain. 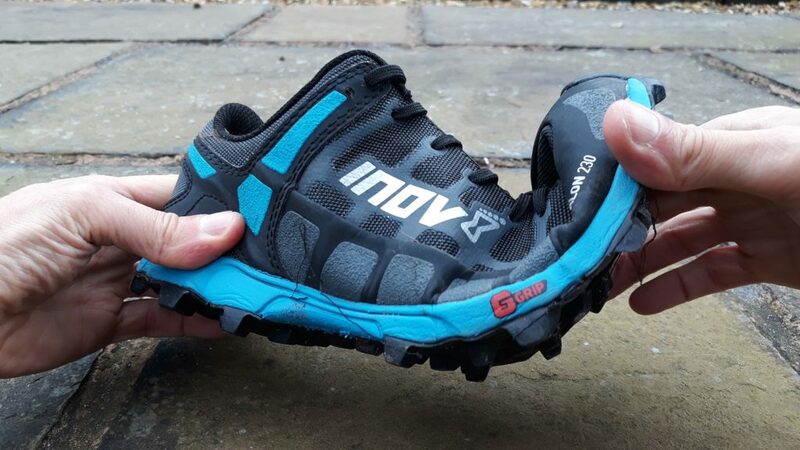 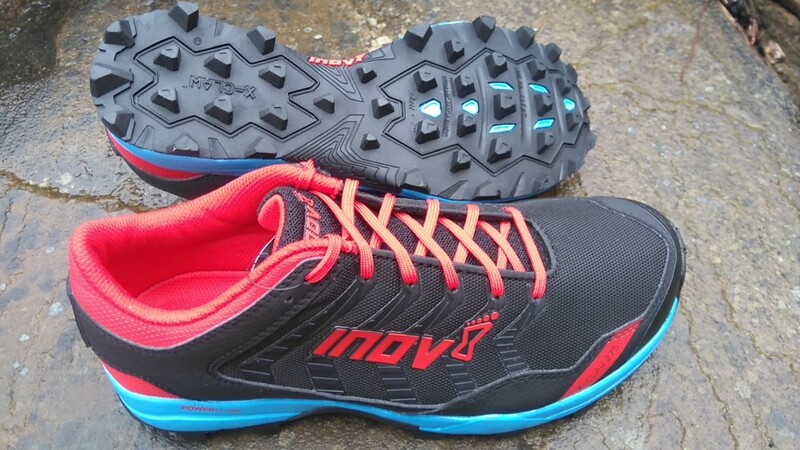 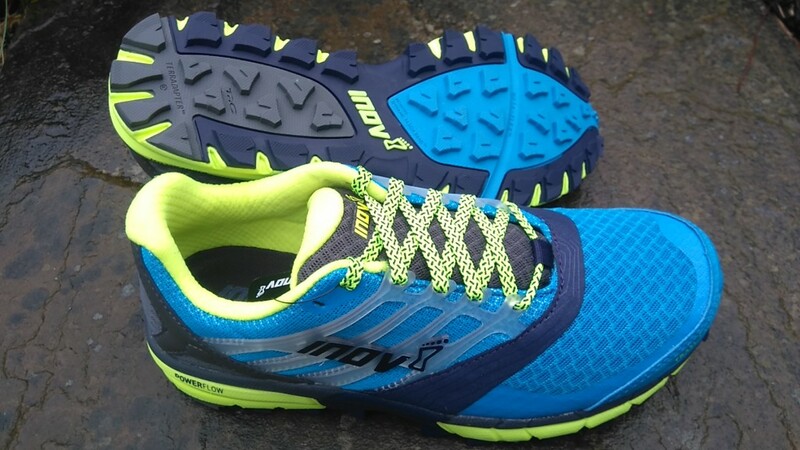 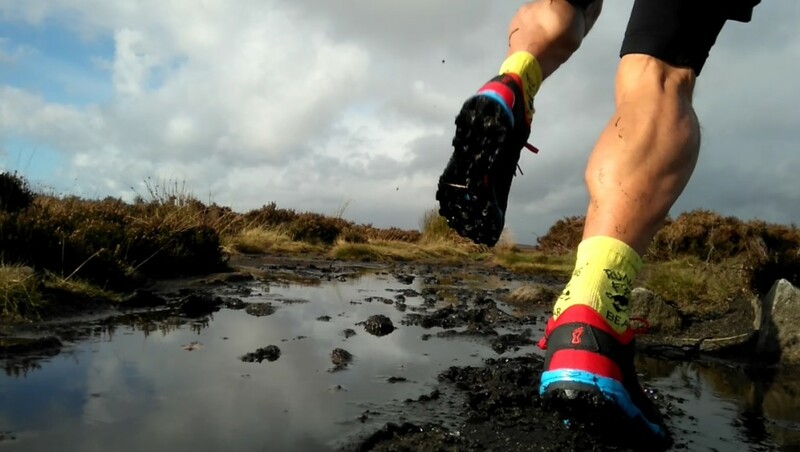 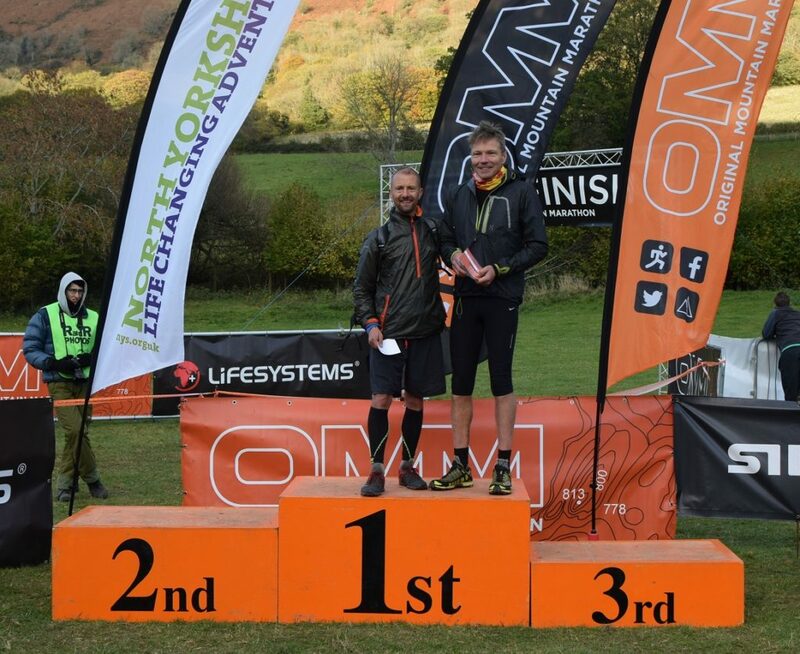 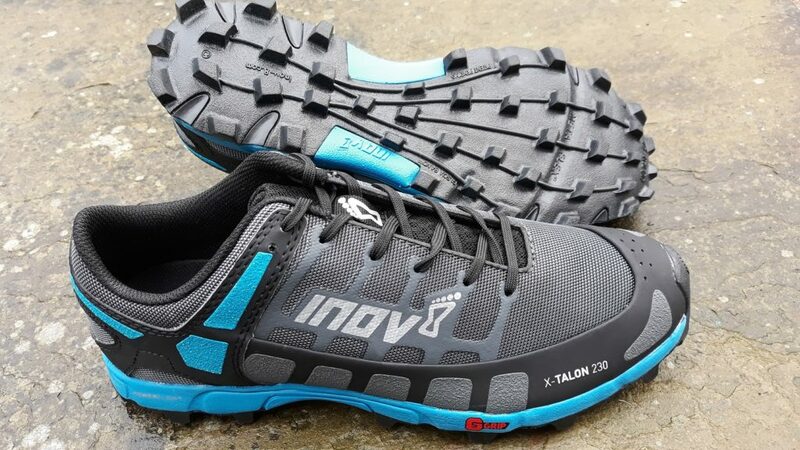 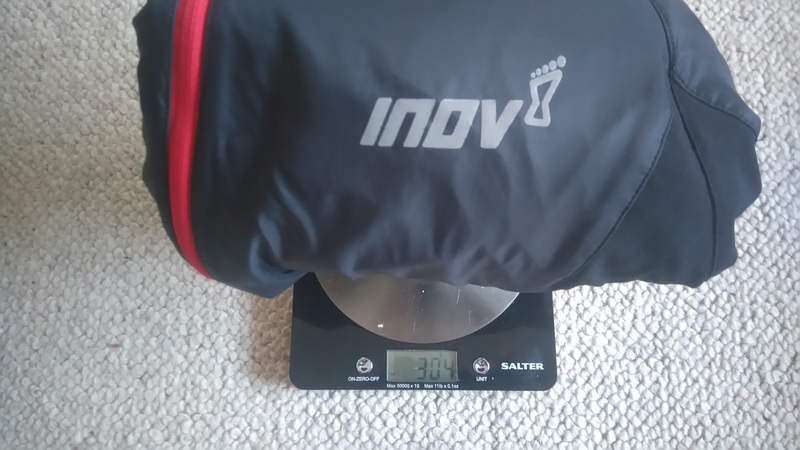 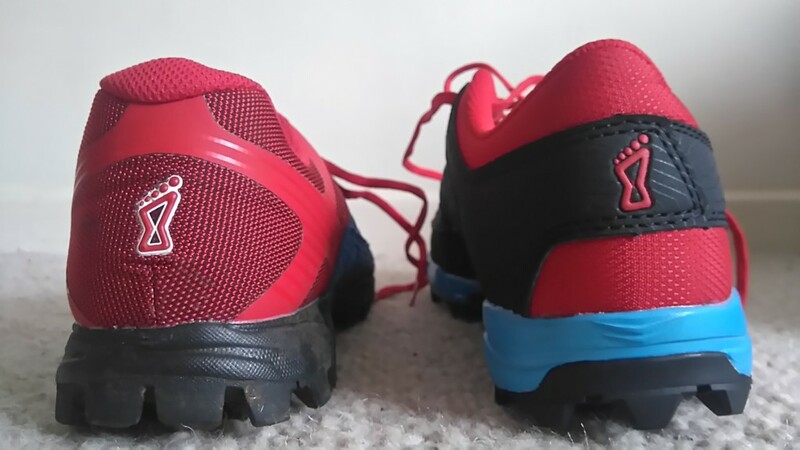 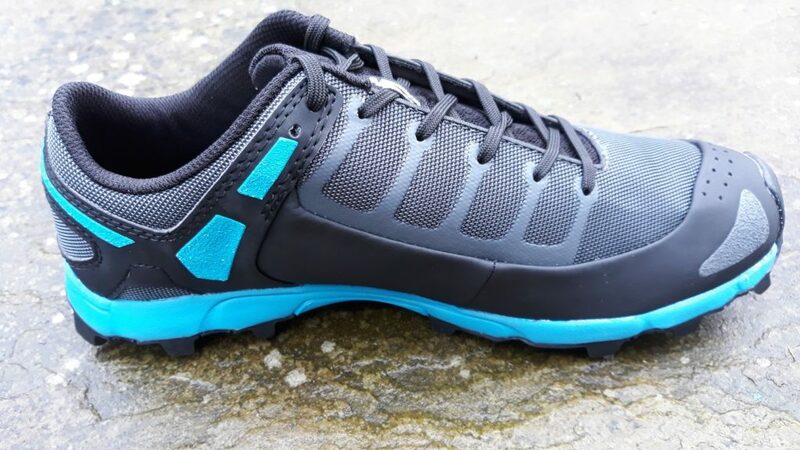 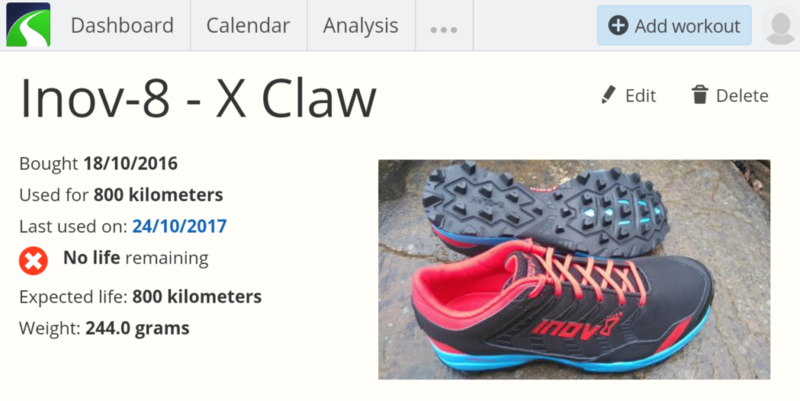 Some running shoes have tungsten spikes built into the tread – the Inov-8 Oroc is a good example. 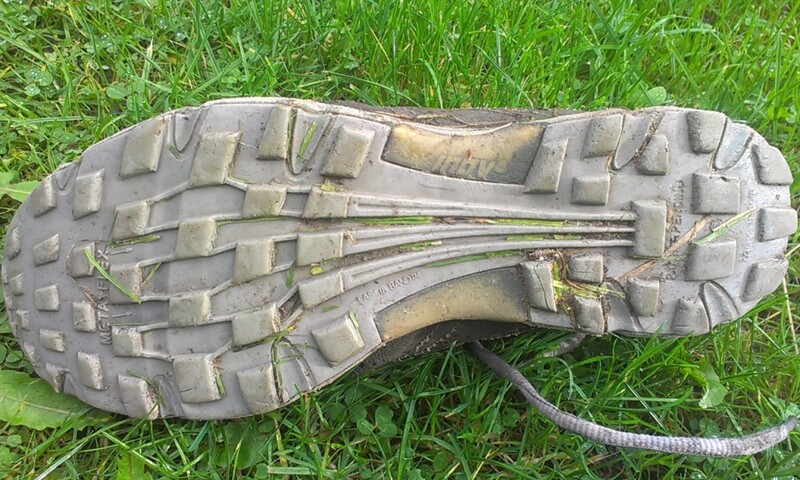 These type of shoes with the tungsten “dobs” have been widely used by orienteers as they give good grip on wet roots often found in forests. 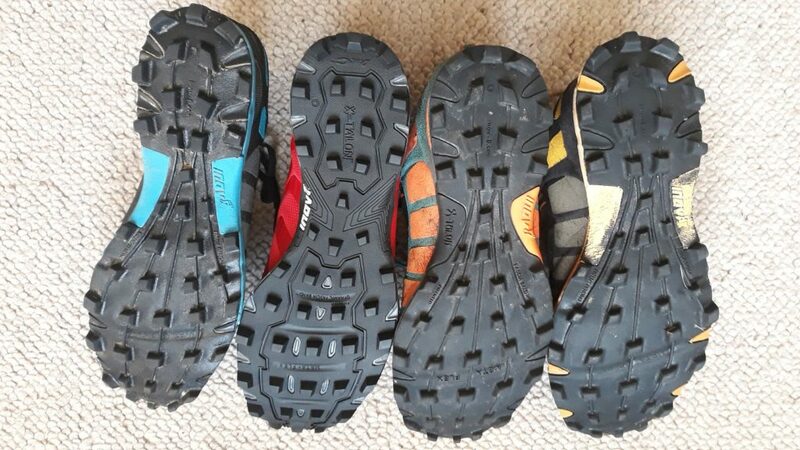 I’ve got a huge collection of shoes and couldn’t really justify buying another pair so I had a think about improvising and making my own studded shoe for the winter conditions! 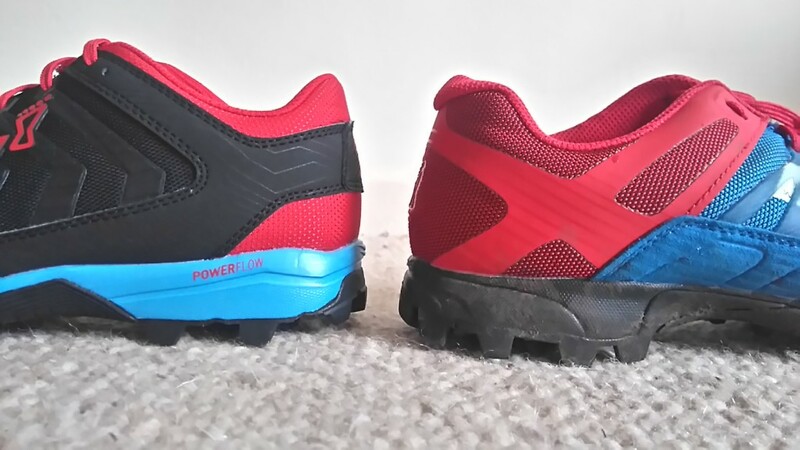 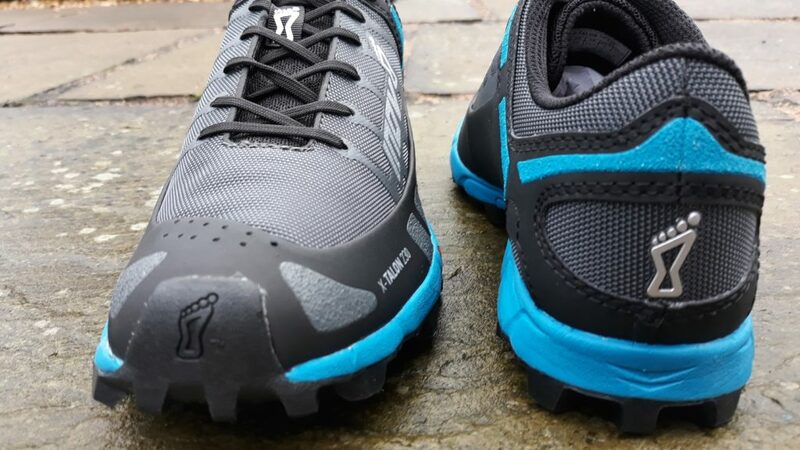 One pair of trail shoes that you don’t mind experimenting with! 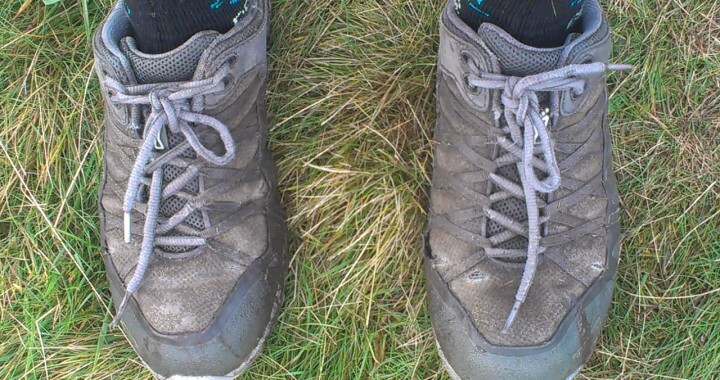 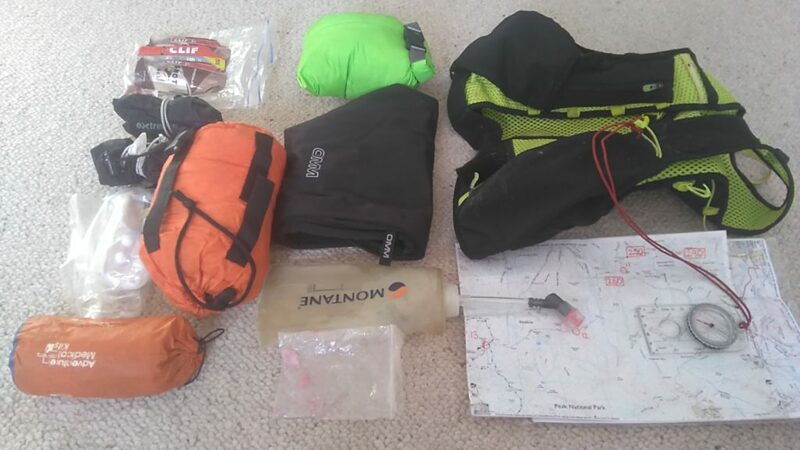 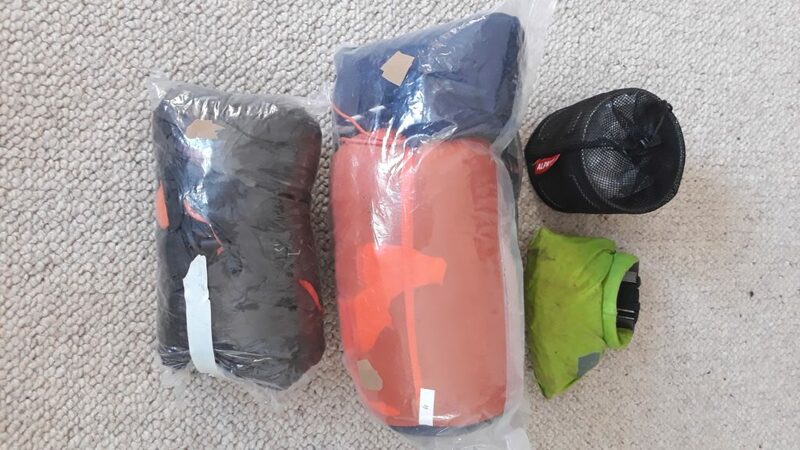 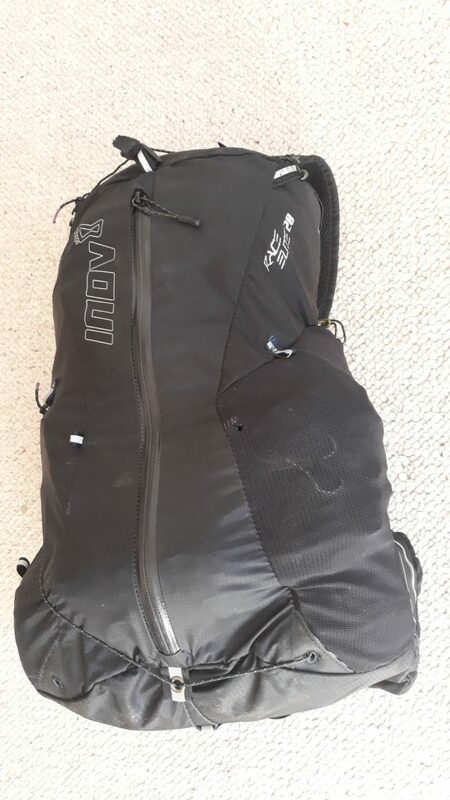 – I chose a pair of Mammut shoes that I rarely wear. 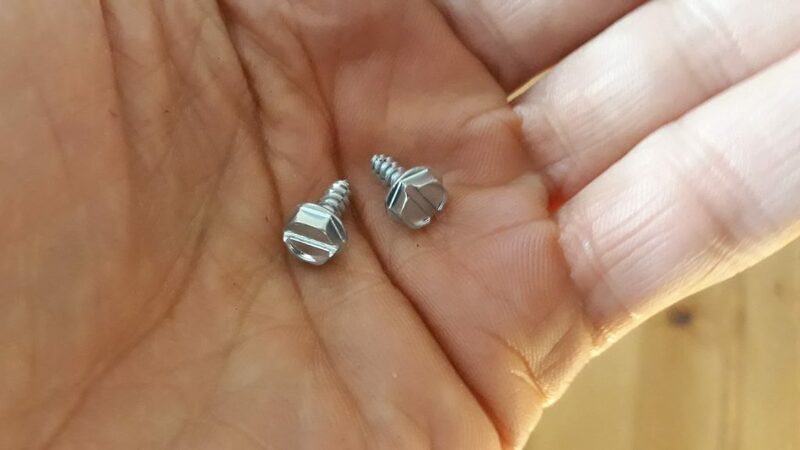 One pack of 3/8″ Slotted, Hex sheet metal screws. 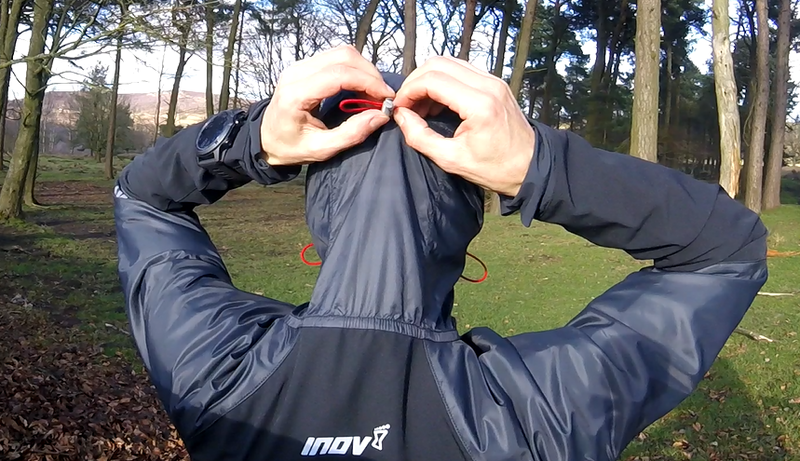 You could use different types, I chose the slotted head as I thought they would give more grip. 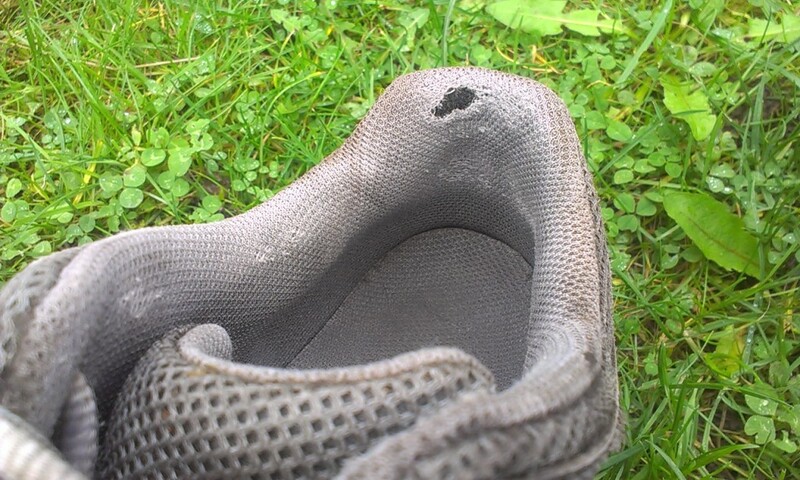 Obviously they need to be short enough that they don’t protrude through the sole and stick into your foot! 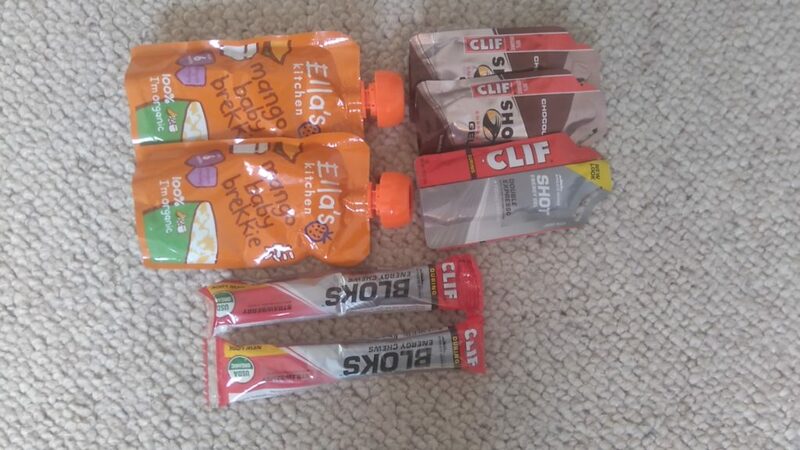 (I couldn’t find any from UK suppliers so had to get them from the US via Amazon, they only cost about £8 for a pack of 100 including shipping. 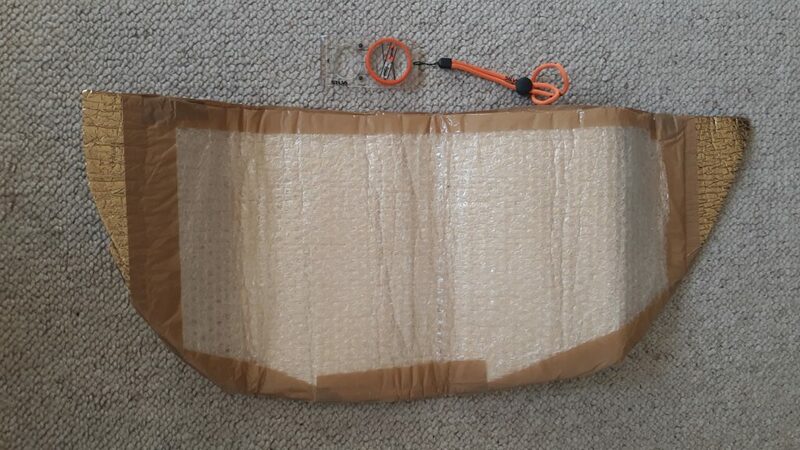 One screwdriver with 1/4″ hex drive adapter. 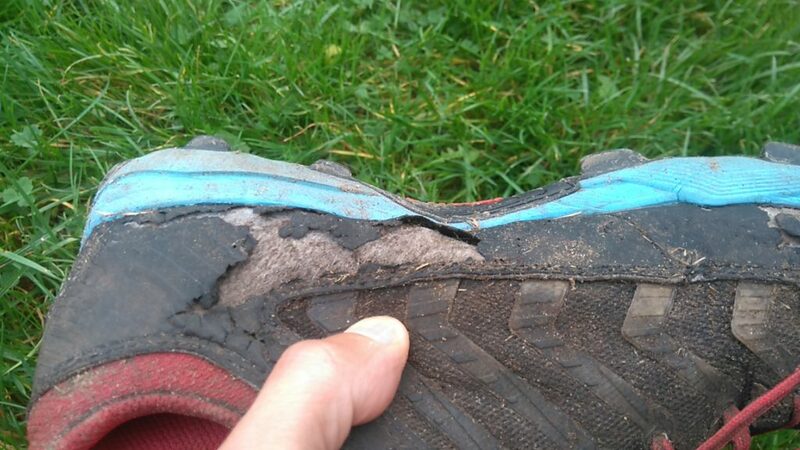 I simply screwed the screws into the shoe at various points around the out-sole on both the heel and forefoot. 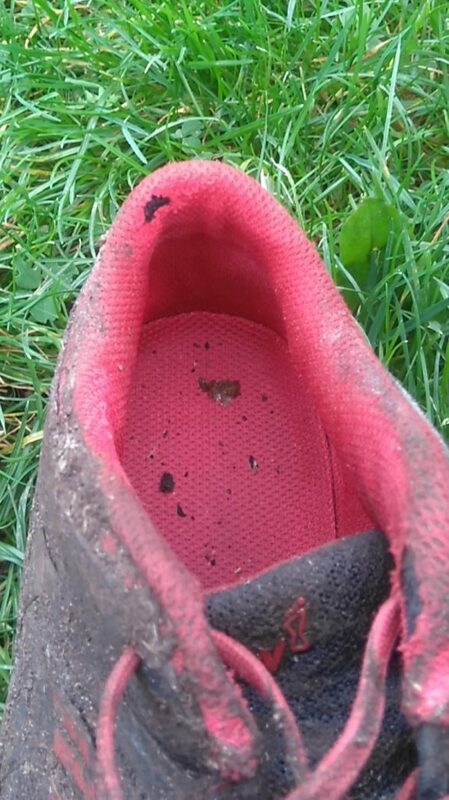 In all I attached 12 studs on each shoe which probably took less than half an hour. 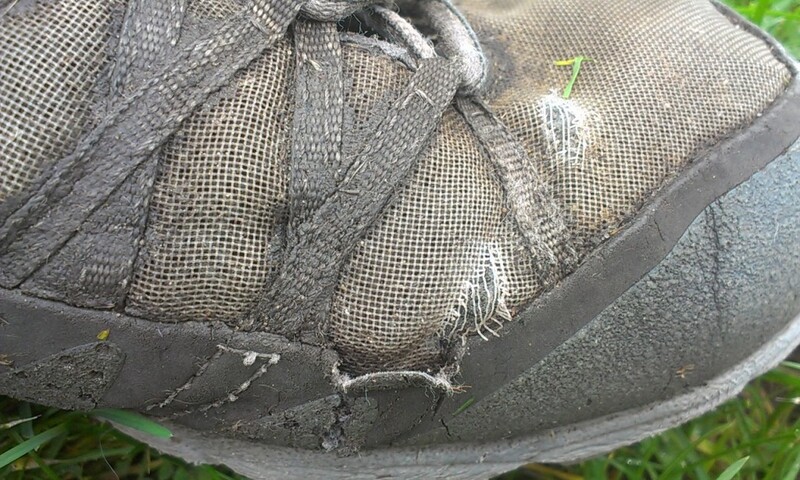 The screws don’t really damage the shoes so I knew there was nothing lost if the experiment didn’t work. 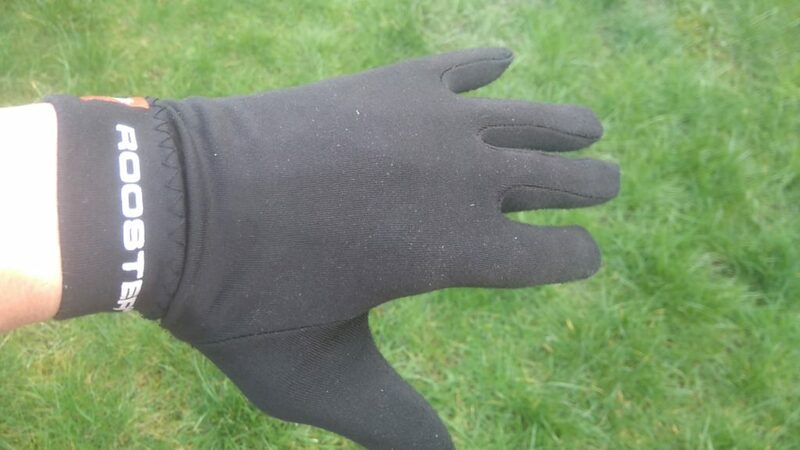 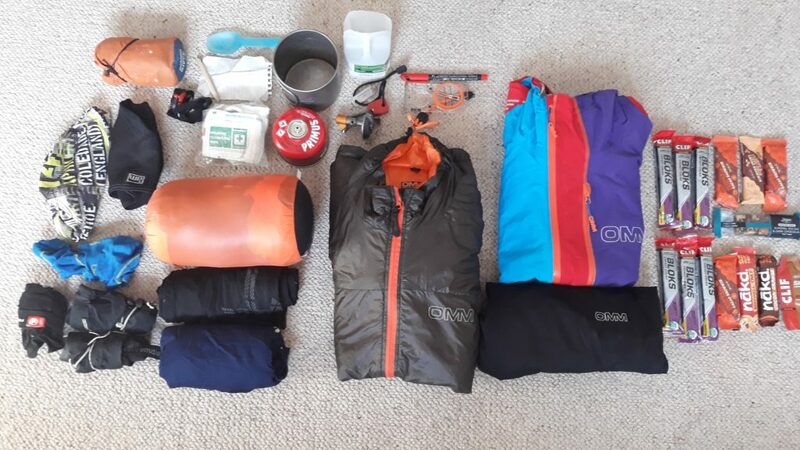 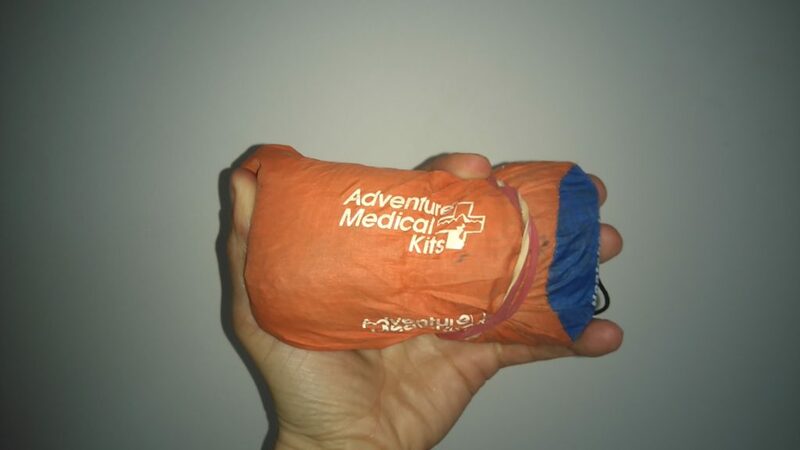 This winter has been prolonged so has given me a good opportunity to test them out. 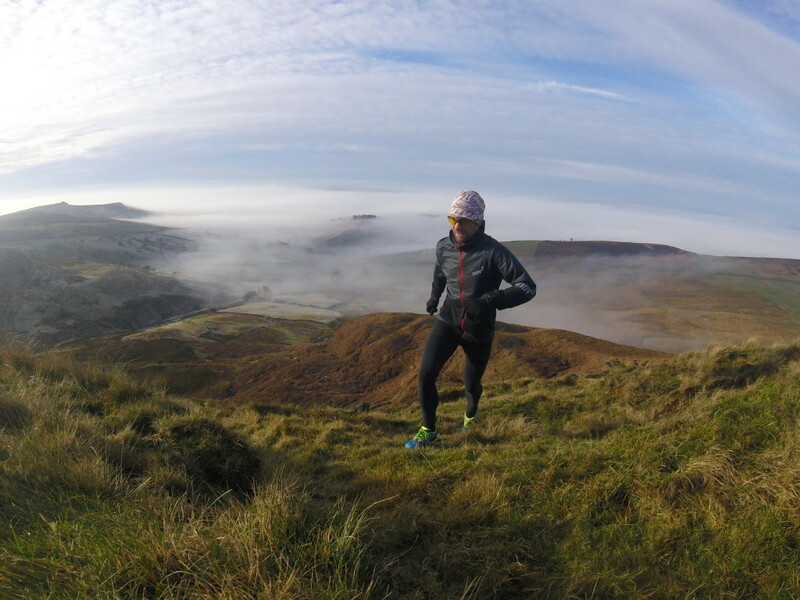 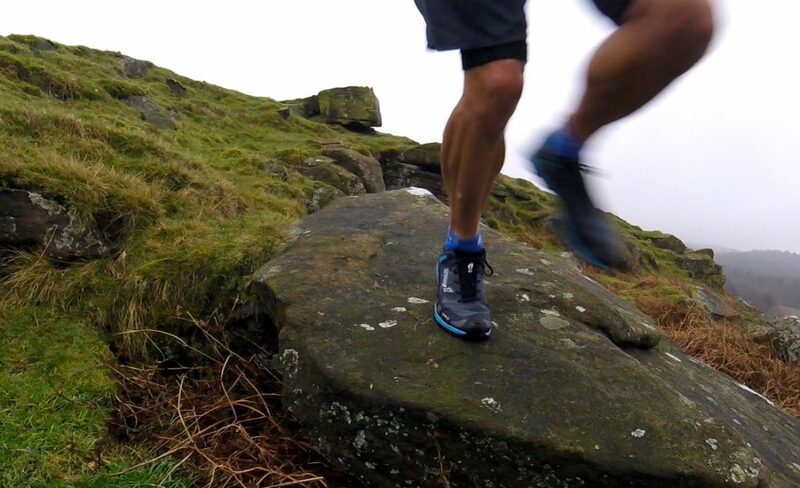 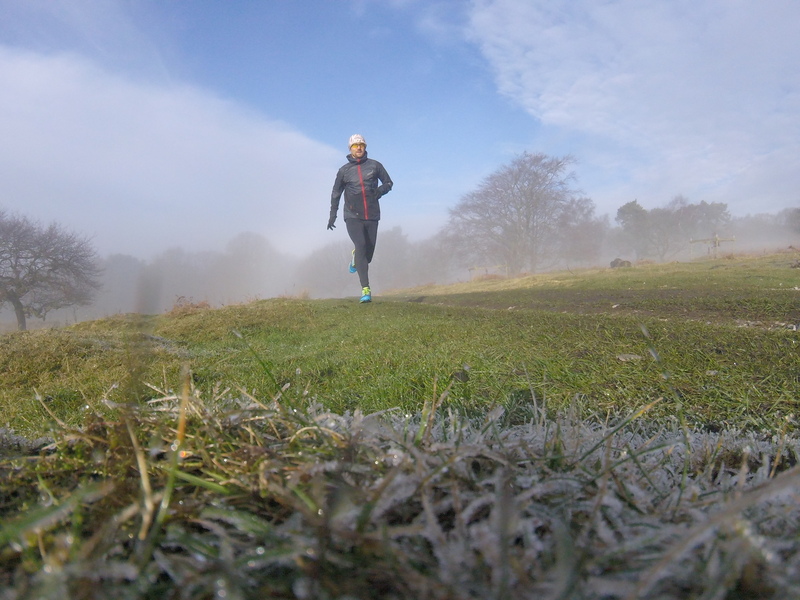 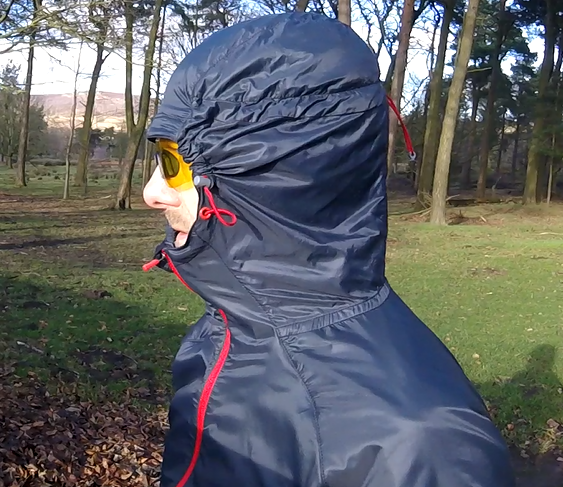 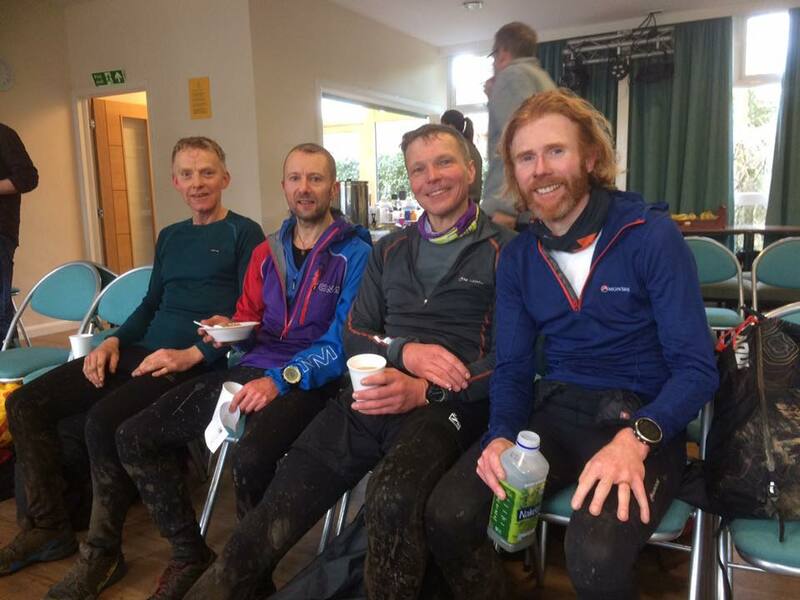 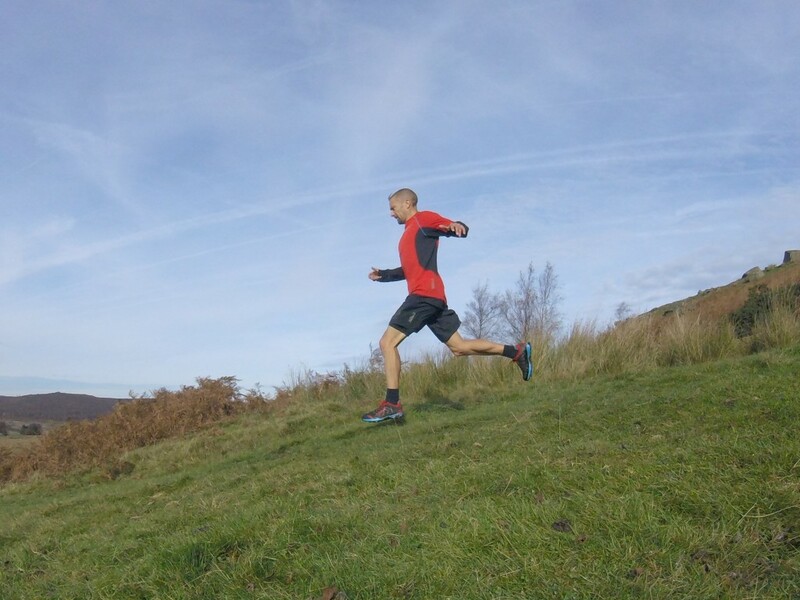 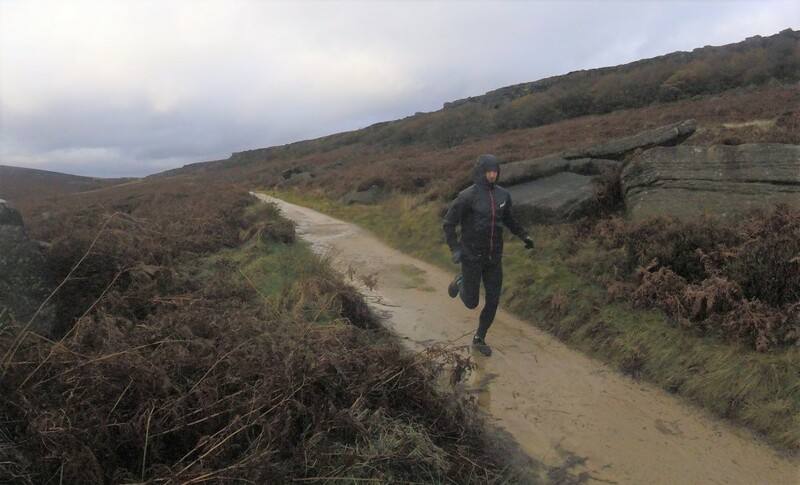 The first run was on the hard packed trails of the Longshaw Estate in the Peak District followed by some rock hopping on snow covered gritstone boulders. 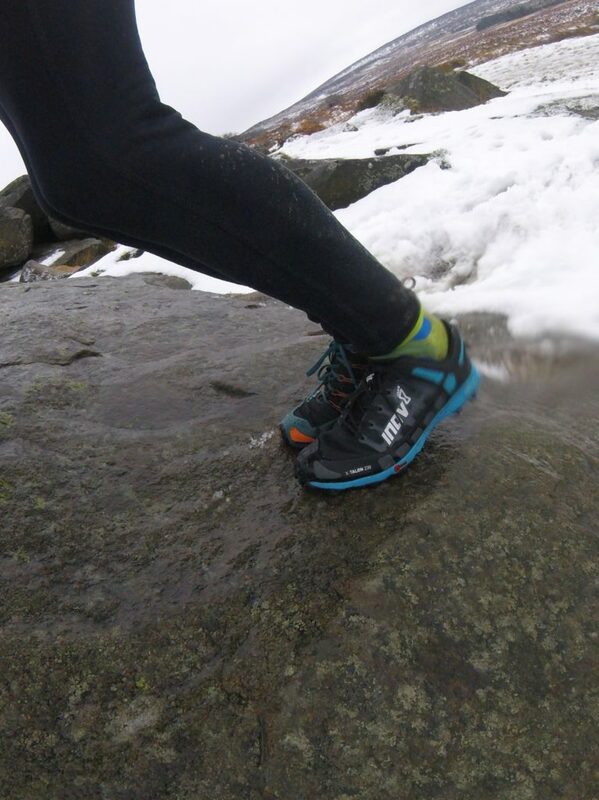 I was really pleased with the grip they afforded on the rocks, although I did slide a couple of times on the snow covered grass. 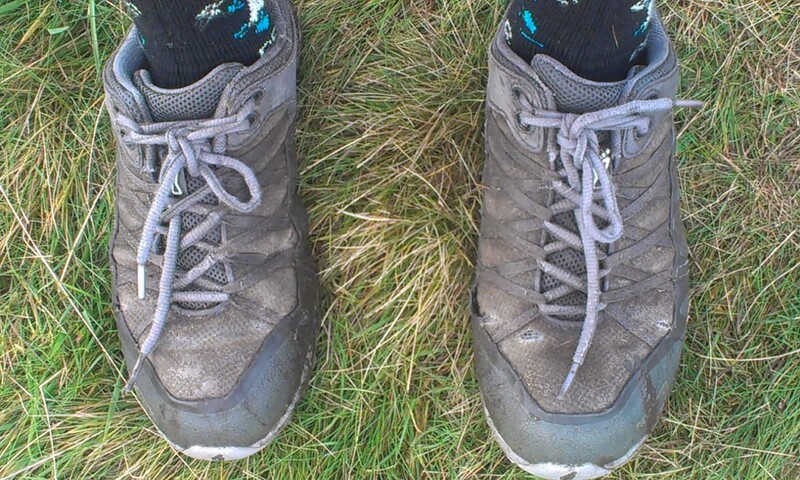 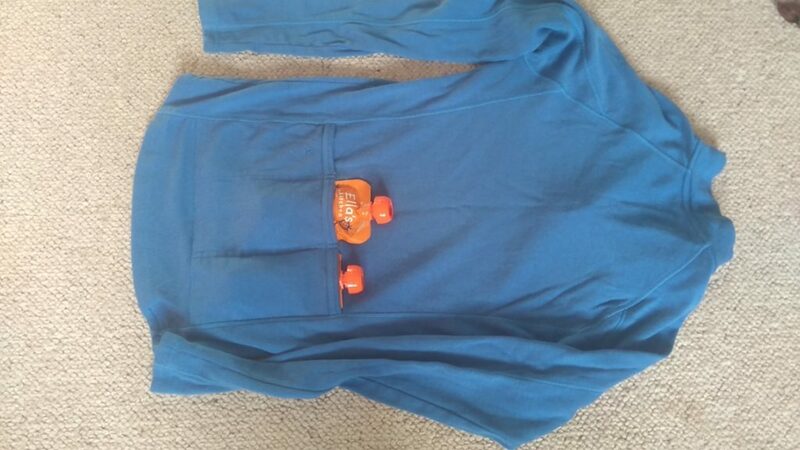 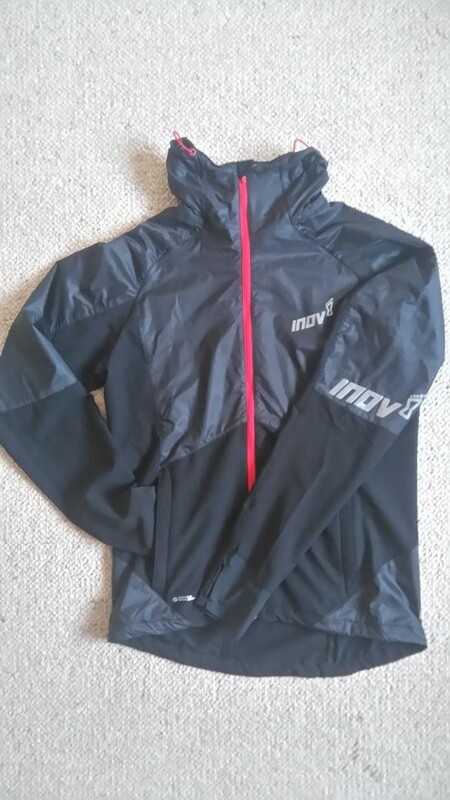 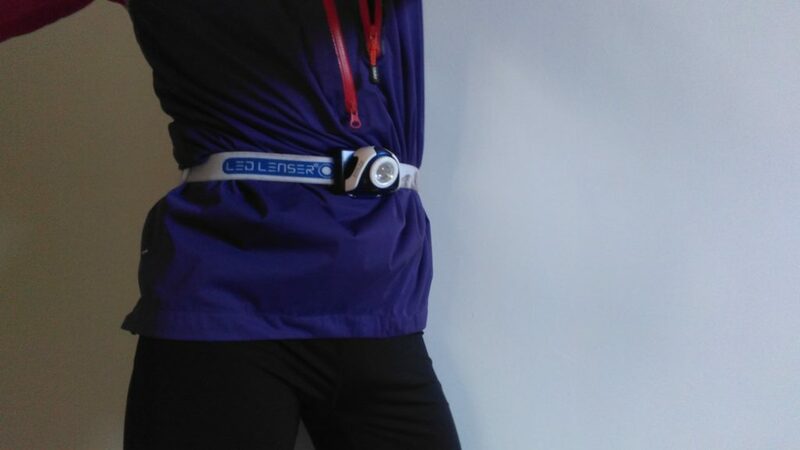 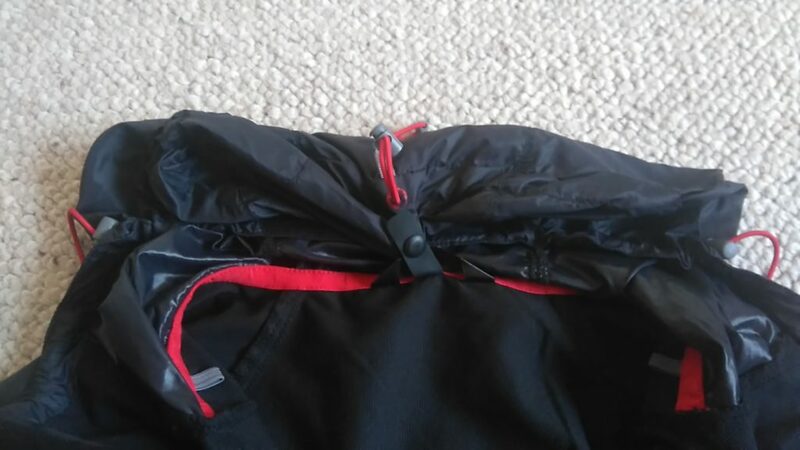 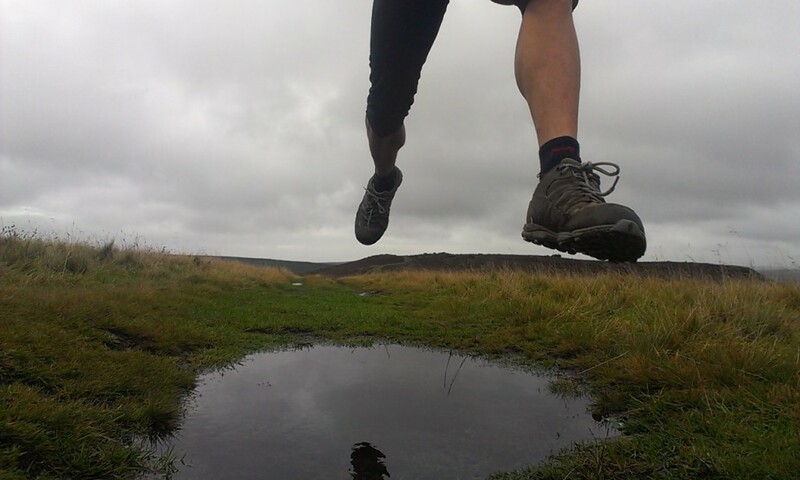 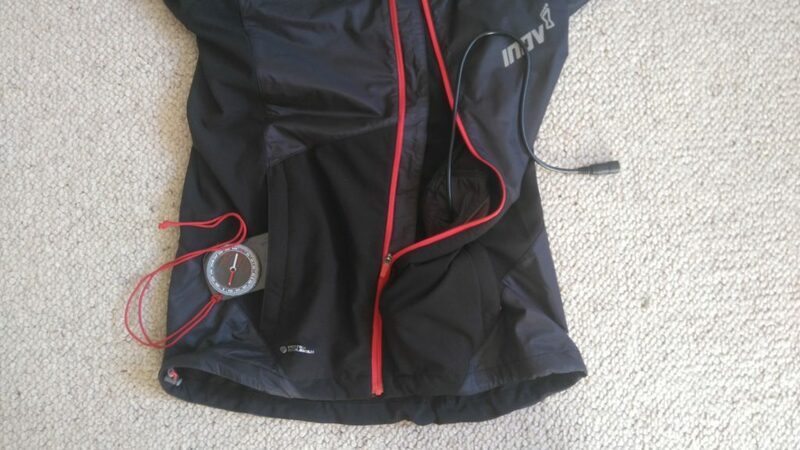 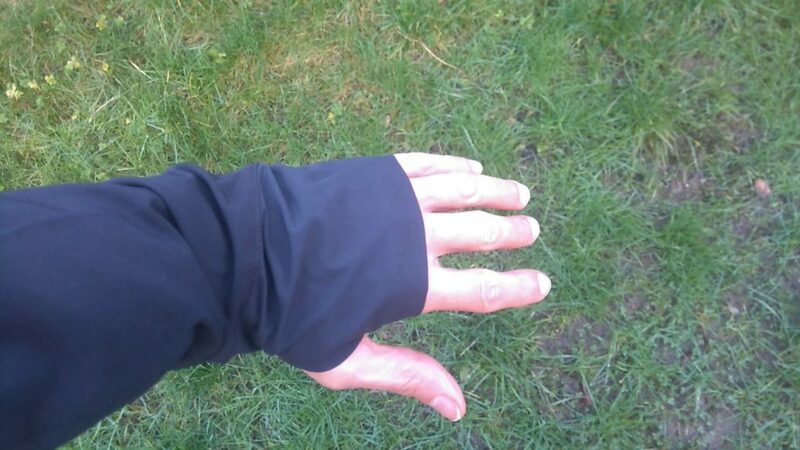 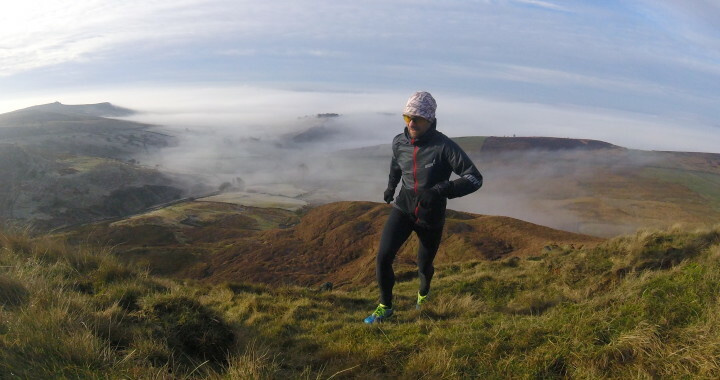 I then wore them for a road run (shock horror – I thought you were a fell runner!?) 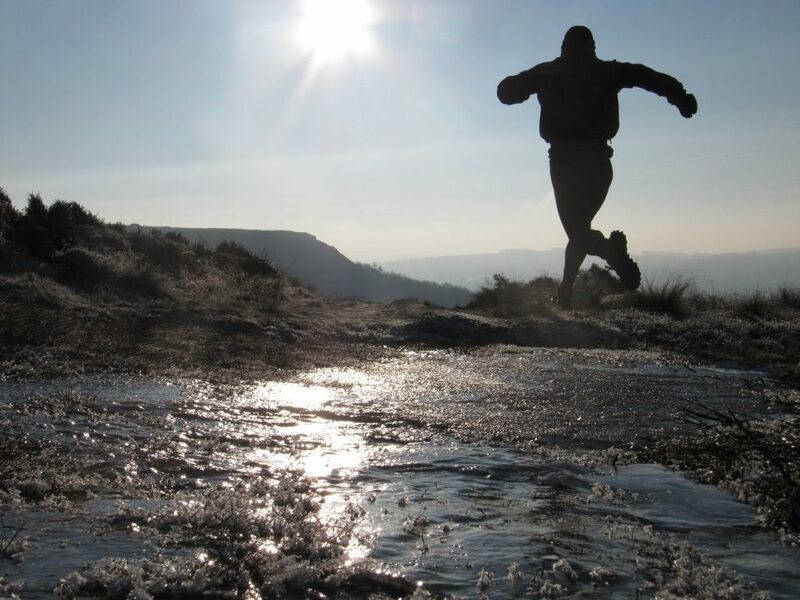 when the snow was so heavy that a drive out to the Peak District was impossible. 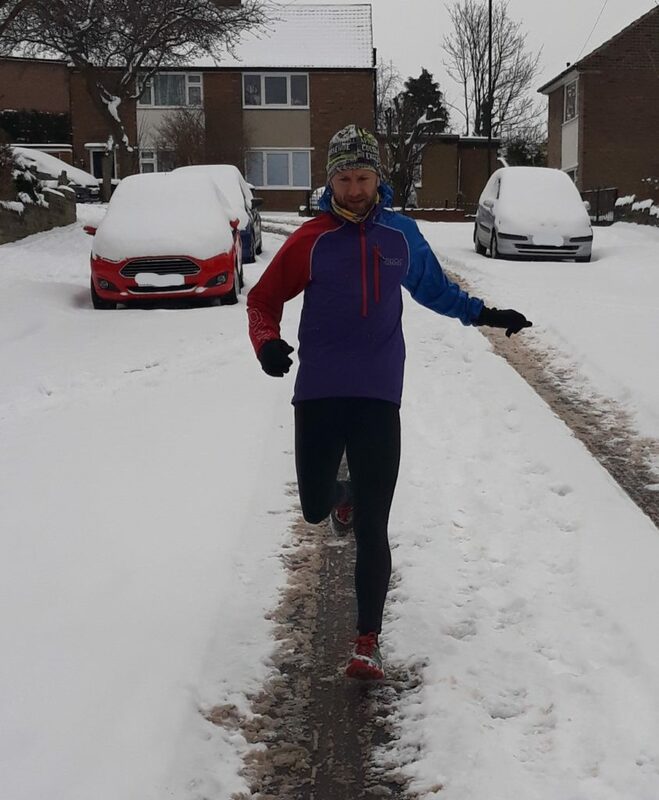 There was hardly any traffic on the roads due to the conditions which allowed me to run in the tyre tracks rather than in the deeper snow. 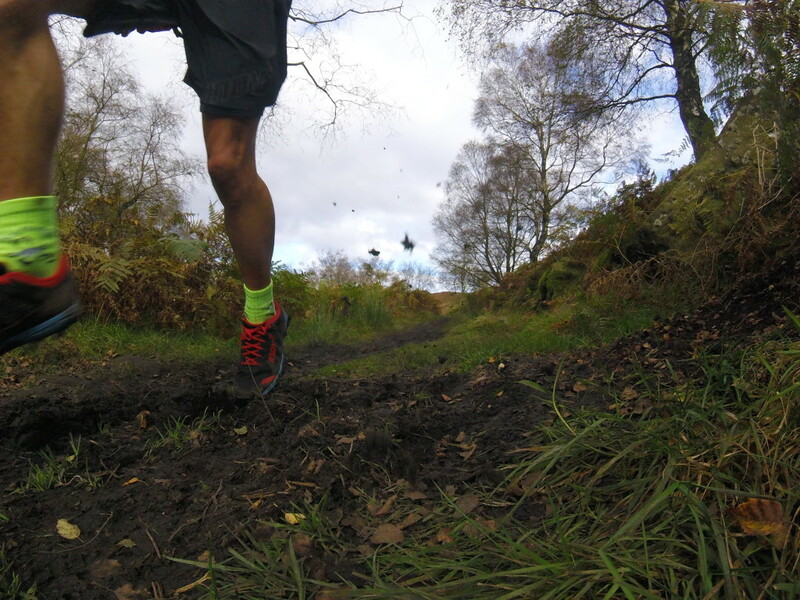 The studs gave a really good grip where they contacted the tarmac (and a satisfying sound!) 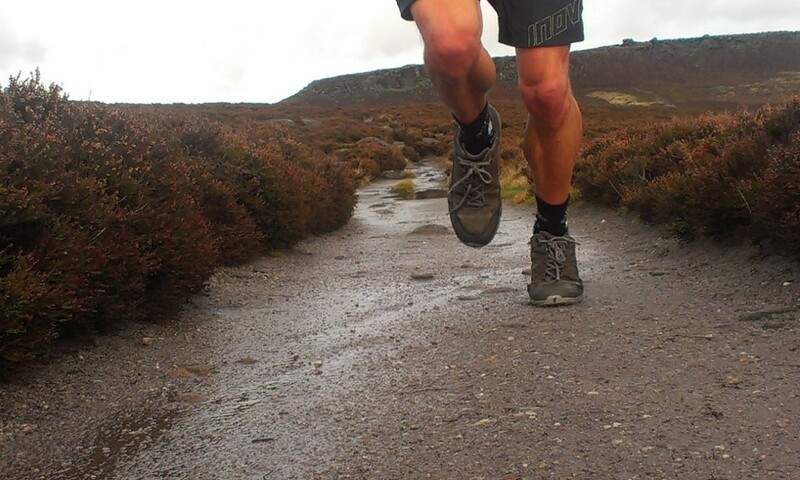 and it was amusing to see people watching me run fairly confidently as they slithered along the pavements. 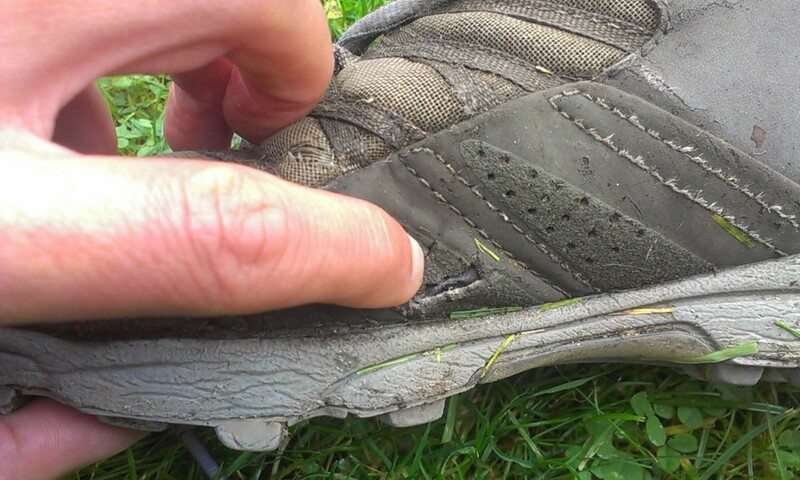 The real test came in the park where the tarmac path rises very steeply in places; there was just enough of the path showing to let the studs bite and grip to allow me to continue running rather than slipping. 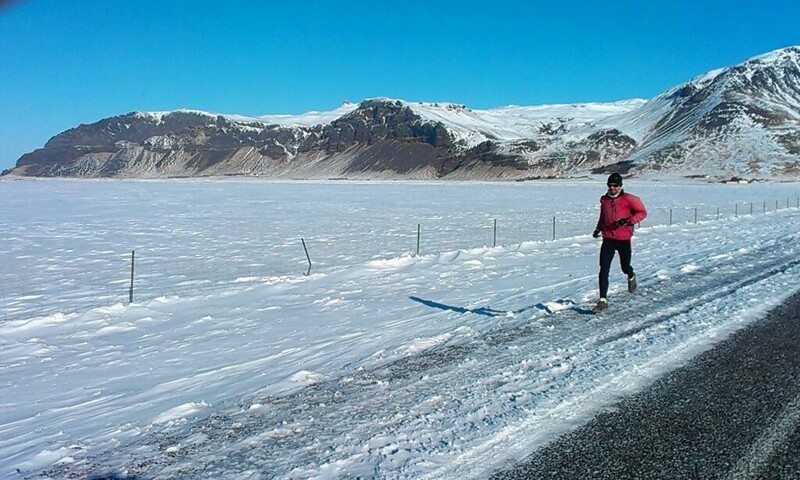 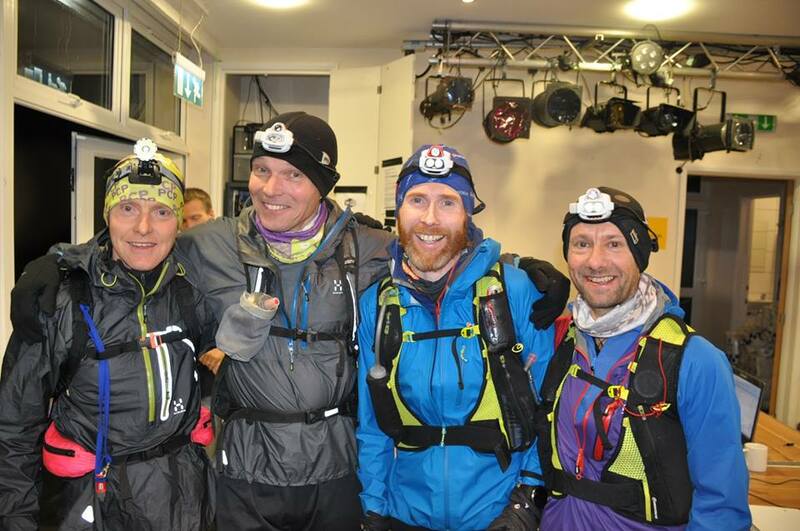 By the end of the run I felt fairly confident running at a decent pace on snowy tarmac. 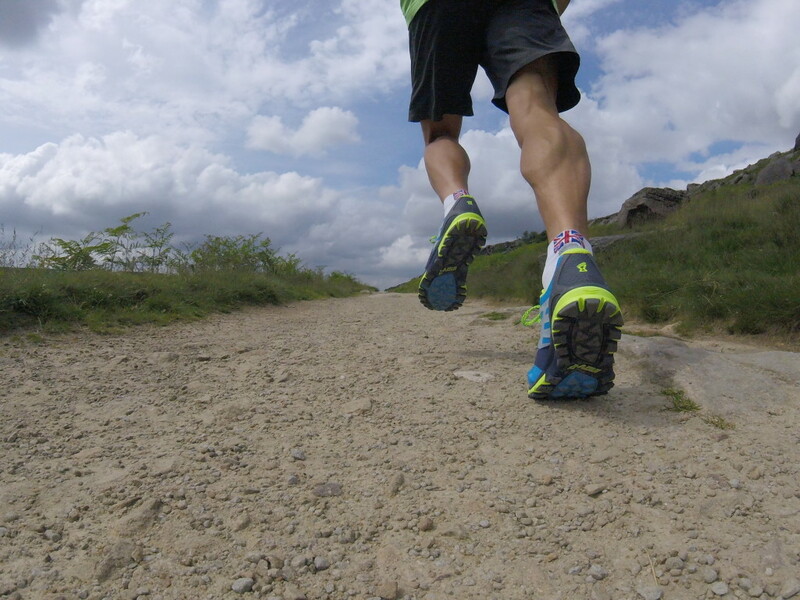 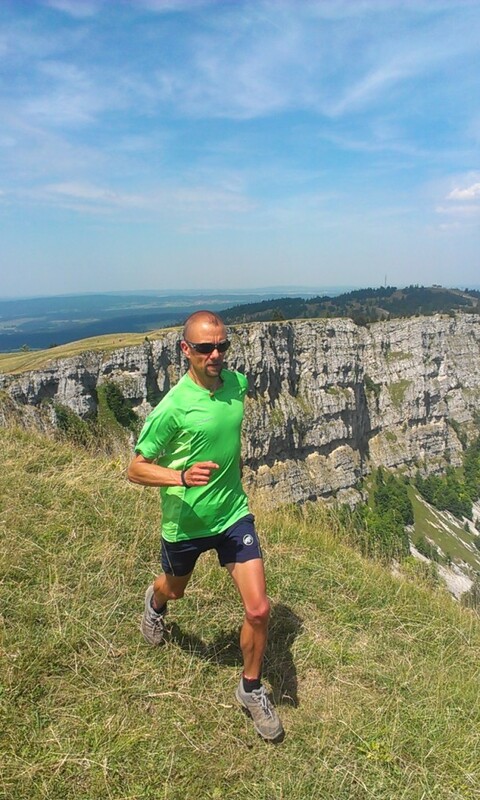 I can’t say that I’ve hammered down any hills whilst wearing them, I’ve kept to a fairly well controlled pace. 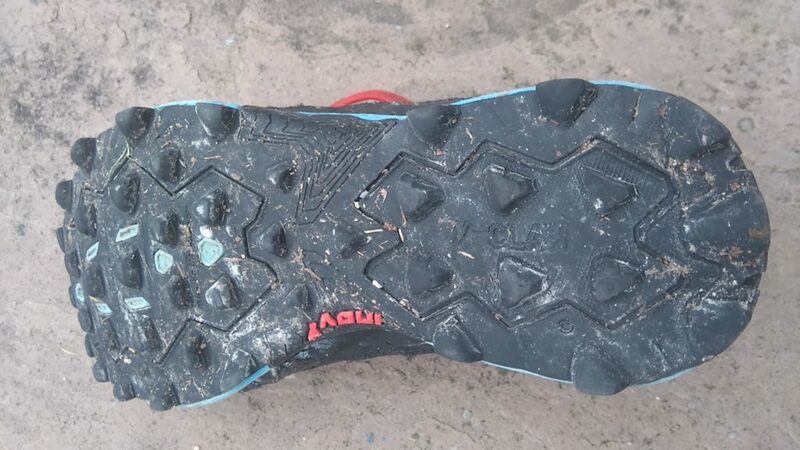 A few times, especially when jumping the rocks, I’ve wondered if I’d lost any studs but so far so good, three runs and almost three hours of running and they are all still there. 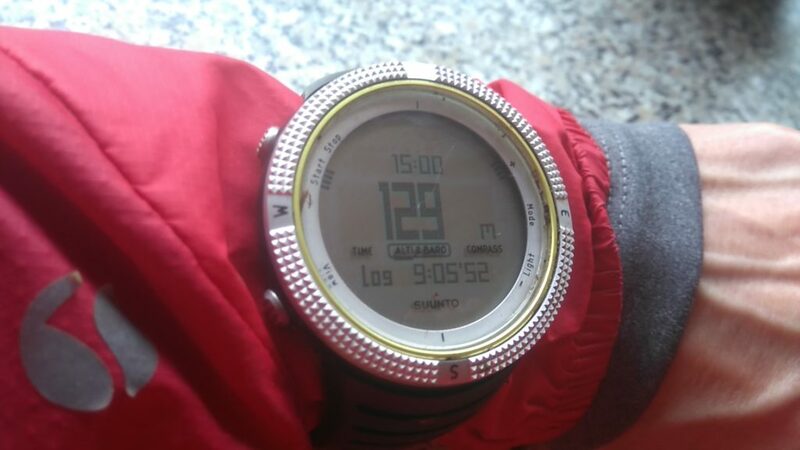 Overall I’m quite pleased with the results. 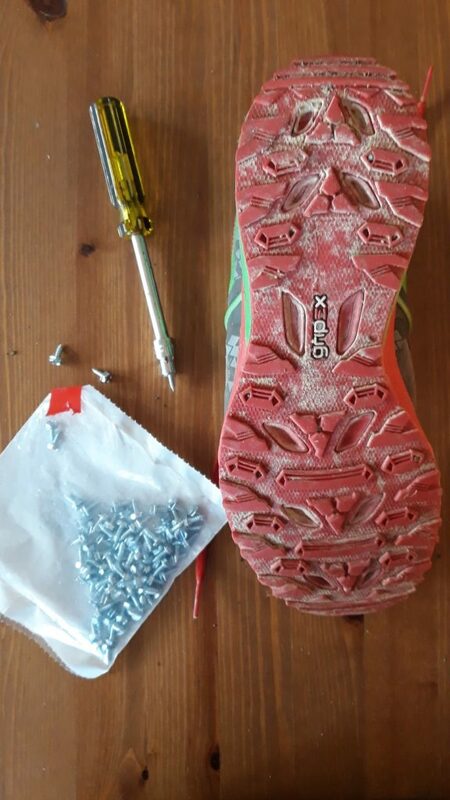 The screws probably won’t last as well as shoes that have an inbuilt stud and I can envisage having to replace a few but for half an hours work and less than a tenner spent I think they’re pretty effective.